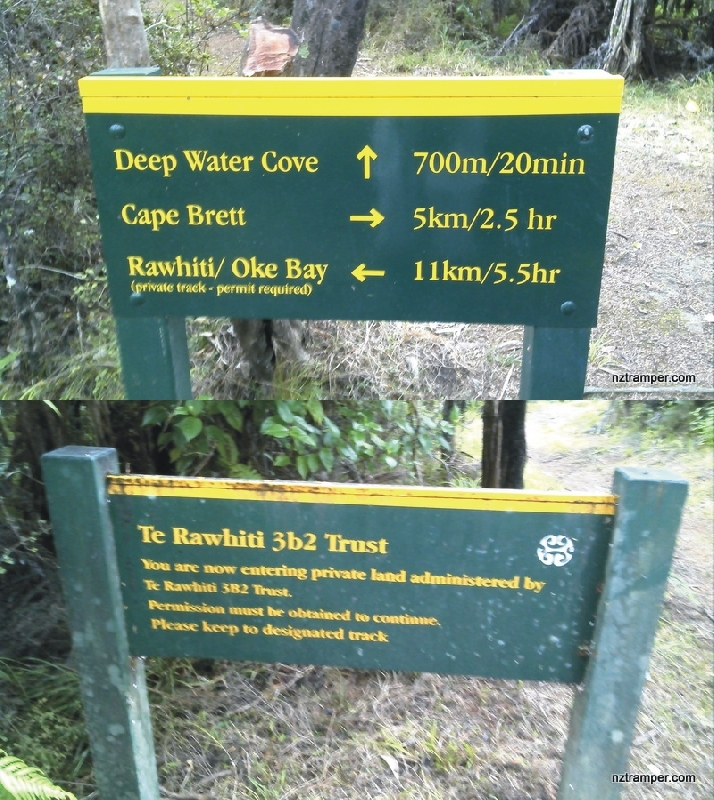 Day One Trails: 253 Rawhiti Road car park – Water taxi – Deep Water Cove – Deep Water Cove Track – Cape Brett Track – Cape Brett Hut. GPS: Set “253 Rawhiti Road, Rawhiti” in your GPS. It’s about 240km 3hrs 15mins drive from Auckland city center. Weather: Check Kerikeri Weather before you go. For better map display, click the buttons (Full Screen, Hide/Show Photos and Back to Center) in the top right corner of the map to study the tracks we took or any other tracks. 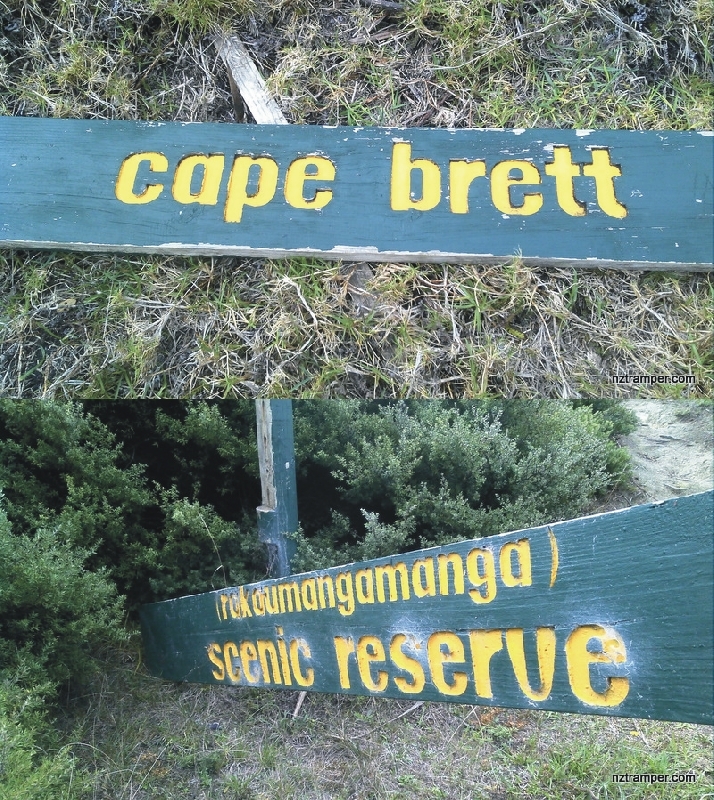 For more information, go to Cape Brett. Difficulty Rating: 1.18 – E * The Total distance, Max elevation and Total climbing in this post are not accurate enough due to the software was set improperly! The “Total Time” is my time in April which includes morning tea time and lunch time. 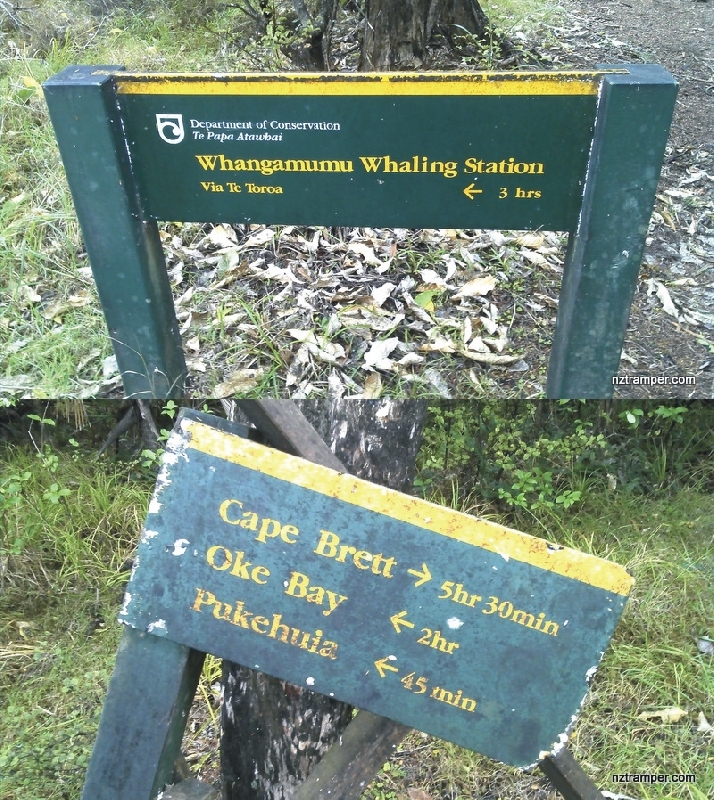 Day Two Trails: Cape Brett Hut – Cape Brett Track – Junction to Deep Water Cove – Junction of track to Whangamumu (Whangamumu Whaling Station Via Te Toroa) – Junction of track to Whangamumu (Via Kauri Grove) – Cape Brett Track Rawhiti Road entry (147 Rawhiti Road) – Walk along Rawhiti Road back to car park. Difficulty Rating: 3 – M * The Total distance, Max elevation and Total climbing in this post are not accurate enough due to the software was set improperly! 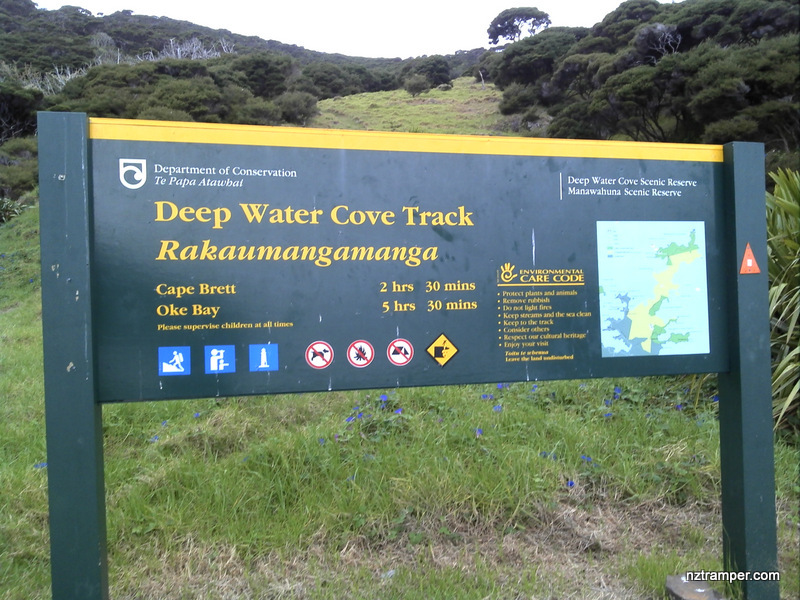 Alternative One Day Track: 253 Rawhiti Road car park – Water taxi – Cape Brett Hut – Cape Brett Track – Cape Brett Track Rawhiti Road entry (147 Rawhiti Road) – back to car park. 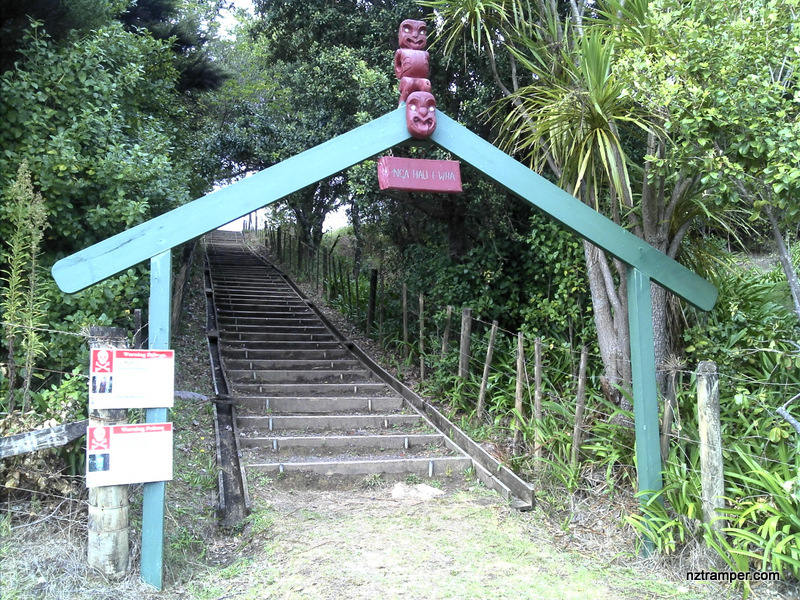 Alternative Two days Track: 253 Rawhiti Road car park – Cape Brett Track Rawhiti Road entry (147 Rawhiti Road) – Cape Brett Track – Cape Brett Hut over night – Cape Brett Track return back to car park. 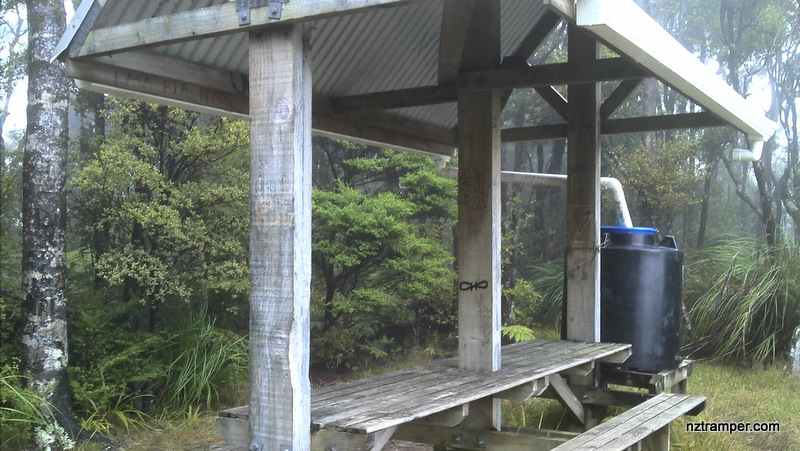 You say it only costs $34 for a water taxi from the Rawhiti Road carpark to Deep Water Cove. I’ve checked with Dive Ops and with Russell’s and it’s more like $250 each way. Could you clue me into this much cheaper alternative? Also, is the car park a relatively safe place to leave a campervan overnight? Hi Becky, I am sorry it misled you. I will change this soon. $34 is not common fare. We have more than 10 people that day. I have no idea what was the minimum charge for one boat if you have only few people. Car park is safe, it’s in the private land with gate. Just updated photos. So you can enjoy the original large size photos. Thanks! Just wondering if you’ve still got that water taxi’s contact details? I am planning to the track in a couple of weeks. 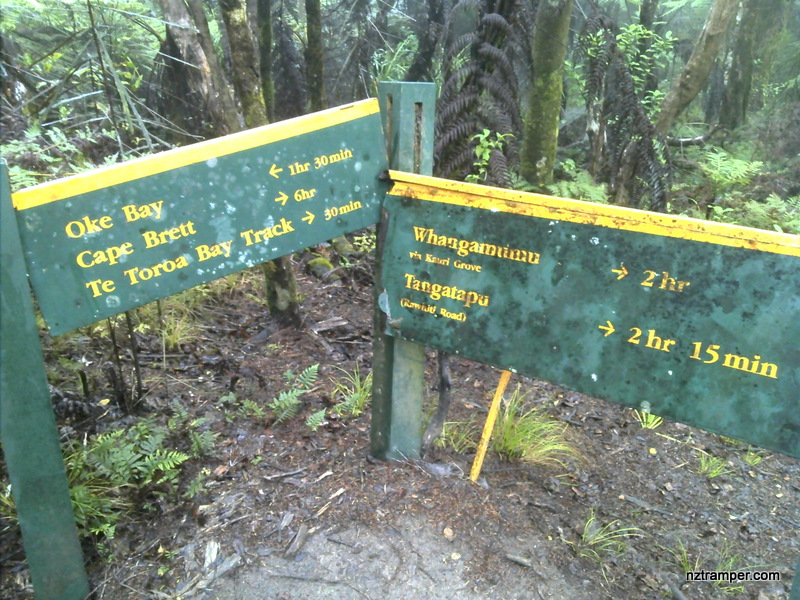 Thanks heaps for sharing your tramping route, that’s very helpful.